The Ancient Egyptians continue to fascinate people from all walks of life, and of all the knowledge we have of their culture, the rituals connected to death and the afterlife are the most compelling. 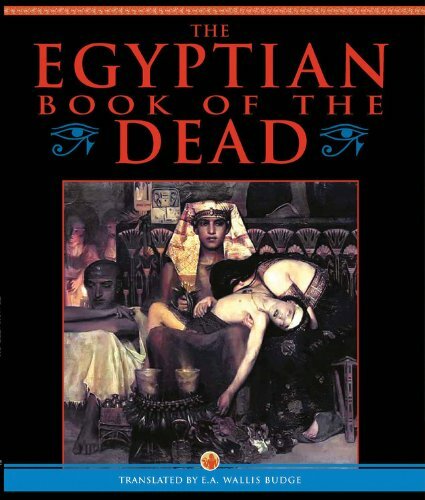 This stunning edition contains images of Ani’s Book of the Dead in its entirety, alongside the translation by Egyptologist E.A. Wallis Budge. The papyrus of Ani is an exquisite object, showing vignettes of Egyptian deities –foremost among them Osiris, god of the Afterlife and of the Underworld – combined with dense hieroglyphic text. This book sets the English translation alongside images of the scroll itself. Mysterious, powerful, and moving, The Egyptian Book of the Dead is one of the oldest and most influential texts in all history. It is made up of a combination of prayers, spells and speeches that the ancient Egyptians buried with their dead, intended to aid the deceased on their 'journey' into the afterlife. Sir E. A. Wallis Budge (1857-1934) was a noted English Egyptologists. He worked for the British Museum during the era of Victorian fascination in ancient cultures and wrote numerous books on Egypt including the important work, The Egyptian Book of the Dead. On behalf of the British Museum, Budge traveled to Egypt and Sudan numerous times to acquire antiquities, many of which continue to reside at the Museum. His acquisitions and writing helped to bring Egyptology to a wider audience, and they continue to resonate today. In 1920, Budge was knighted for his work of bringing Egyptology to the masses, and to the British Museum. He retired from the museum in 1924, and died ten years later. In his will, he established a scholarship for intrepid young minds at both the University of Cambridge and the University of Oxford to continue his work in Egyptology. Published by Chartwell Books, Inc.